For dog owners, each holiday season prompts an important decision to make: do you take your pet away on that much-needed holiday with you or do you send them to stay with friends, family or a trusted kennel? There are more dog friendly destinations and travelling abroad with your companion has become easier. If you do decide to take your dog with you, here’s how to make sure they travel safe and sound. Packing: Ensure you pack enough of their current food for the time you will be away to avoid having to buy a different food which could cause an upset stomach. Also, don’t forget their favourite toys, blankets and bed to make them feel safe in new surroundings. Passport: If you’re going abroad, check the documentation required by the authorities at journey’s end (your vet will be a good source of information). For travel within the EU a Pet Passport, an identification chip and a valid rabies vaccination are mandatory; this needs to be done 21 days prior to travel. Check the regulations for leaving and re-entering your country; e.g. the dog must be at least 15 weeks old at the time of travel. Also there are several exceptions to the rules and protocols may vary when travelling outside the EU; so do check with your vet just to be on the safe side. 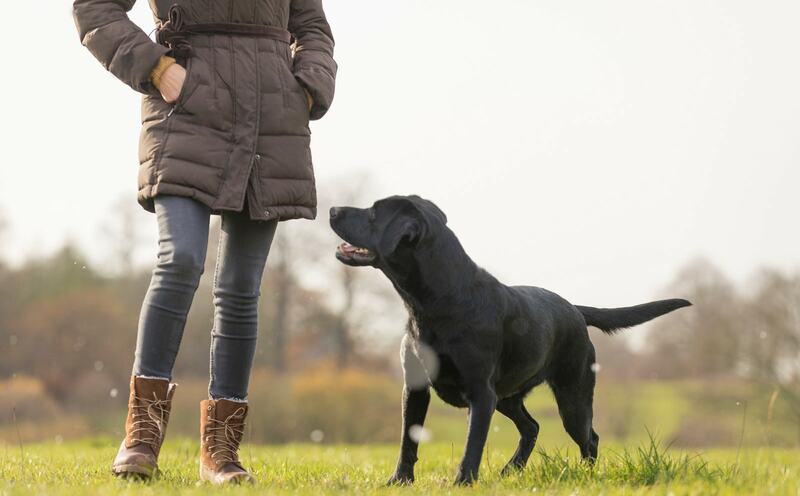 Planning: Before returning home, your dog may need to be given treatment against certain types of worm infection and/or fleas by a vet 24 hours before they travel. Remember to check the regulations needed for the return journey before you leave home. It’s important to find out who can help you with this at your destination before you travel. Ferry: Most ferry companies will unfortunately not allow dogs up on the deck for short journey periods. If this is the case and there is no other safer alternative, please make sure that you check in advance with the ferry company about frequent access to them during the trip. Remember to always leave your dog with plenty of fresh water to drink so they can stay cool and hydrated. Additionally, on warm or hot days take great care to make sure your dog is safe. Longer or overnight trips may require that they wear a muzzle to and from the on-deck kennels. Car: Consider the weather and your journey in advance, especially if you don’t have air conditioning in your car. Think about whether the journey for your dog is absolutely necessary. Never leave your companion unattended in the car and especially if the weather is warm. The safest way for your dog to travel by car is to put them in a crate them in the back away from airbags and the accelerator. Give them plenty of space. Ensure the crate is lined with non-slip soft material or bedding so they are comfortable on the journey. If you don’t have a crate or the necessary space, there are special seat belts designed for your dog’s safety. Plan your journey carefully, allowing for toilet and water stops every two hours. If your dog is prone to carsickness, try not to feed them before you travel, or ask your vet for anti-nausea medication. Plane: Few airlines allow dogs in the cabin (although there are some exceptions to this rule); most will consider dogs to be cargo. Check with the airline you want to travel with well in advance to ensure you are aware of their regulations. Make sure to have a chat with your vet to discuss the best options to ensure your dog has the most comfortable and safe travel as possible. At your destination, you will need to acclimatise your dog. Take them on a walk first. When you get back to where you’re staying, keep the lead on and walk calmly around, in and outside their new home. Your dog still needs to know their boundaries, where to sleep and go to the toilet. Be prepared for a few indoor toilet accidents. Approach these in the way you first approached house training. Be consistent with exercise routine and feeding plan. This will ensure your dog is happy and settled in the new surroundings. If you have any questions or concerns about travelling with your dog then consult your vet and if applicable the travel company you are booked with.